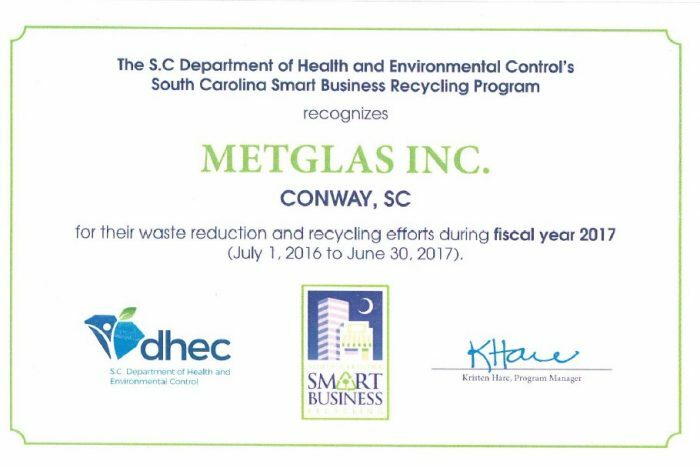 Metglas Recycling Recognition Award - Metglas, Inc.
Metglas has received the South Carolina Recycling Recognition Award for the 4th consecutive year SC Department and Environmental Control for our waste reduction efforts during FY2017. 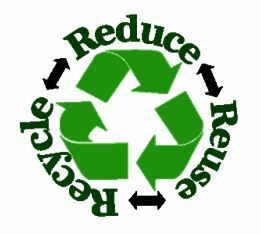 This award for recycling demonstrates that Metglas believes in protecting our planet. Metglas offers earth-friendly amorphous metal materials and is committed to the prevention of pollution and protection of the environment.